Star Wars: Episode VII—The Force Awakens premiered less than a month ago, but its related merchandising has been in full swing since Force Friday, a hallowed day on which Captain Phasma figures were sold to fans who’d kept vigil. If you weren’t among the lucky few to nab a BB-8 in the fall, you could console yourself with the knowledge that new toys and other memorabilia would be made available (following an approved marketing strategy) long after the last can of Chewbacca-emblazoned SpaghettiOs had been consumed (or thrown away). One such item is Hasbro’s new Star Wars Monopoly game, in which you could play one of four characters bent on building an empire (albeit a real-estate one). Through some all-too-common oversight, Rey was not one of those four characters—at least, not initially. When Hasbro revealed the game earlier this month, it proudly announced that tabletop aficionados could win second prize in a beauty contest (or whatever’s in the Community Chest these days) as Finn, Kylo Ren, Darth Vader, or Luke. Despite featuring prominently in the film, Rey was left out of this latest incarnation; public outcry quickly ensued, bolstered by the lingering frustration from Rey’s absence from various other Star Wars toy sets that resulted in the “Where’s Rey?” Twitter campaign. Hasbro has said that the omission was intended to prevent spoilers; it claimed that key plot points would be revealed if Rey was allowed to purchase an income property on Baltic Avenue or something. That mealymouthed defense didn’t fly with consumers, who were presumably fed up with the erasure of female protagonists from their franchise-related merchandising, for that same fear of spoilers could surely be applied to the presence of Finn and Kylo Ren in the game. Hasbro’s logic was more than a little specious, which is presumably why the company has relented and announced that a Rey token (as in a game piece) will be added to the new Monopoly game forthwith. 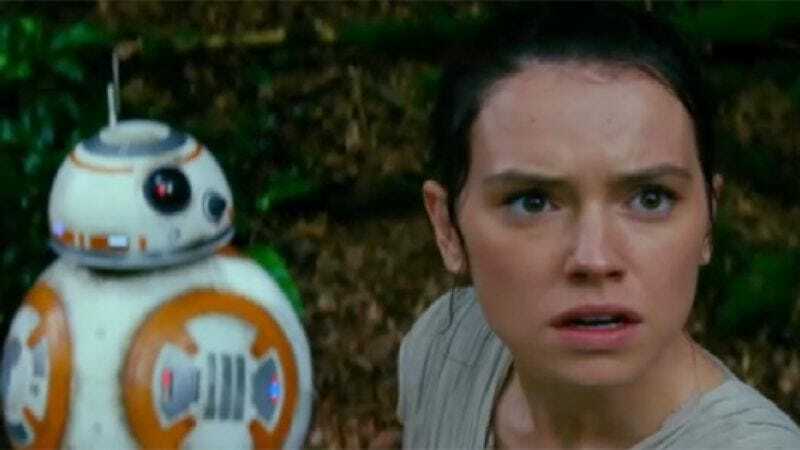 Hasbro has also assured fans that Rey action figures will finally be available for purchase this month, though probably without a copy of the screenplay to avoid future public-relations disasters.